Thank you for visiting our website. 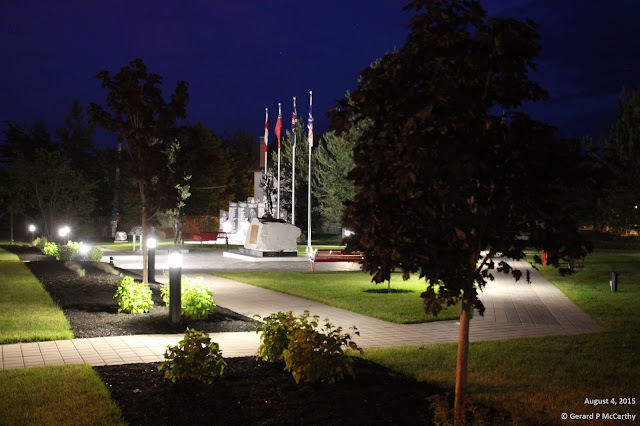 The Gander Heritage Memorial Park, Inc. was created to improve and revitalize the area formerly known as the War Memorial or Cenotaph site. Its mission is to ensure the Park remains a cherished Town landmark for future generations. 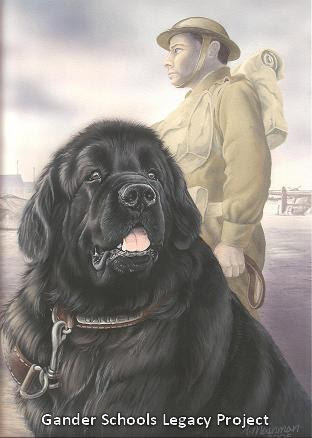 On July 23, 2015, Their Honours Lieutenant-Governor Frank F. Fagan and Patricia Fagan attended the rededication of the Cenotaph (Winged Victory) and the Memorial Wall of the 125th Newfoundland Squadron of the Royal Air Force together with the unveiling of the statue of the Newfoundland War Dog, (better known as Sgt. Gander) along with a statue of his handler (representing a member of the Royal Rifles of Canada). 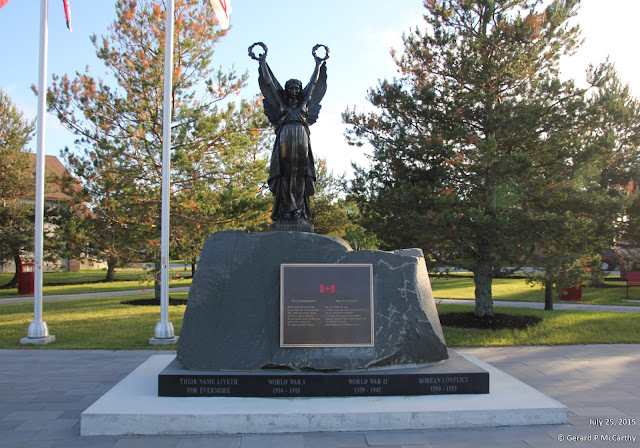 The memorial to Sergeant Gander was born of a school reunion held in Gander in 2010 and is a gift to the children of Gander from the early children of Gander (1951 to 1964). 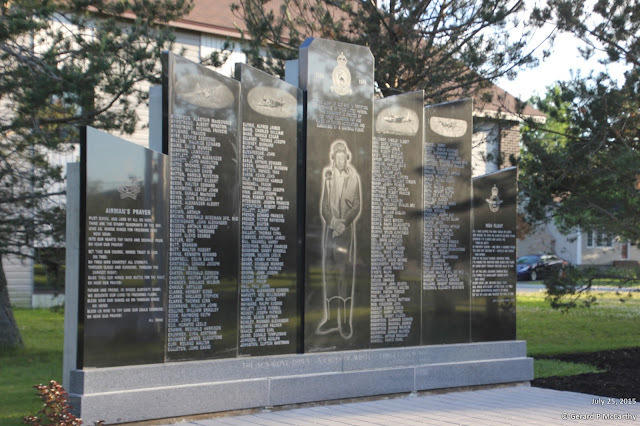 To stay true to the "heritage" theme, the next addition to the Park will see tributes to Gander's aviation disasters, i.e. Arrow Air, Sabena Belgian Airlines, Czechoslovakian Airlines, together with a memorial to Ferry Command.